Read more about A whale of a gift for you this holiday. "..The consortium proposes a “Near Surface Disposal Facility” (NSDF), a mound of one million cubic meters of nuclear waste on a hillside draining into the already highly contaminated Perch Creek wetlands, less than 1 km from the Ottawa River. 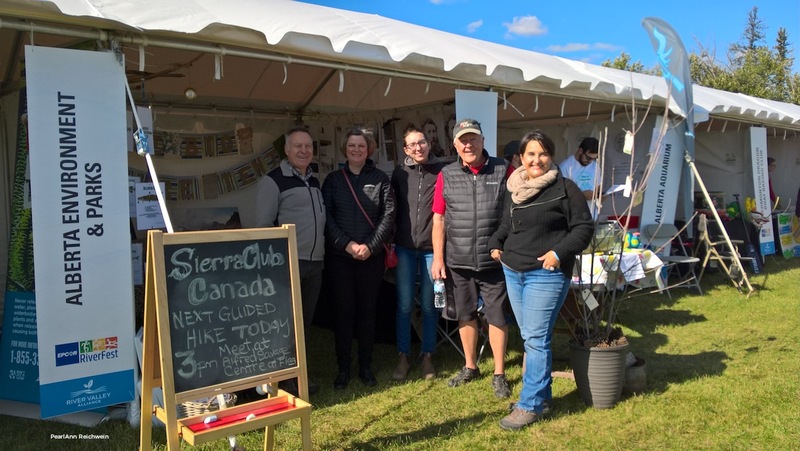 On the afternoon of October 28th, on St. Catharine’s' Lockhart Drive in a threatened Carolinian Old Growth Forest north of the Niagara Escarpment, the Sierra Club celebrated a major environmental victory. This was the extension of Ontario's Greenbelt to 21 major urban river corridors from Northumberald to Niagara. In Niagara, this involved the protection of Lake Gibson - a reservoir for most of the drinking water for Niagara's residents. Date: Saturday October 21st, from 2.30-4pm. Venue: The Al Green Theatre at the Miles Nadal Jewish Community Centre. Sierra Club Ontario's (SCO) Nomination Committee is seeking candidates as members to serve on its volunteer, non-profit Executive Committee, commencing January 2018. Are you interested in learning about bees and local pollinators, including causes for their decline and actions you can take to help support their habitat? Come out and attend our FREE WORKSHOP on September 29th, from 11am -12.30pm, at University of Toronto's Hart House! Refreshments including local honey and organic fruits will be provided. Read more about Let's Save our Bees!